Dr. Qiang (Charles) Feng is the Professor of the State Key Laboratory for Advanced Metals and Materials at the University of Science and Technology, Beijing (USTB). He graduated with the B.S./M.S. degree from USTB in 1991/1994, and received his Ph.D. degree from Polytechnic Institute of New York University in 2000. He had been working as the Postdoctoral Research Fellow and Senior Research Fellow in the Department of Materials Science and Engineering at the University of Michigan from 2000 to 2005. 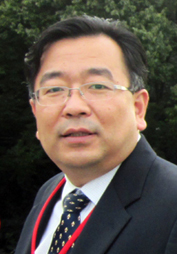 Professor Feng has authored or co-authored over 80 papers in referred journals and conference proceedings, and his research interests focus on alloy development, microstructure, mechanical property (creep and fatigue) and life prediction of high temperature structural materials, including superalloys, intermetallic alloys and heat resistant steels. Materials systems of interests are mainly applied in aircraft engine and gas turbine industries as well as power generation industries and automotive industries.